Early morning welcome by our representative and drive to Mathura, check in at hotel on arrival. Later explore the place of Lord Krishna’s childhood days, Vrindavan and visit Govind Dev Temple, Rangaji Temple, Madan Mohan Temple, Glass Temple and Bankey Bihari Temple. Overnight at hotel. 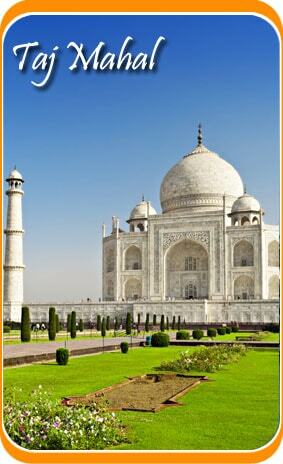 Post breakfast in the morning, drive to Agra and check in at hotel on arrival. Later utilize the full day for the sightseeing tour of the city exploring the Sikandra, Taj Mahal, Agra Fort, Swami Bagh Mankameshwar Temple, Guru Ka Tal and Ram Bhagh. Overnight spent at hotel. Post breakfast in the morning, proceed to Ayodhya and check in at hotel on arrival. Ayodhya known for the Temple Town is the innumerable holy places. Overnight at hotel. After breakfast in the morning, the day will be utilized for the temple tour of Ayodhya exploring the Ram Janmabhumi, Kanak Bhavan, Nageshwarnath Temple, Tretake Thakur, Lakdhmana Ghat, Mani Parbat, Humangarh and Chhoti Chhawni. Overnight at hotel. Post breakfast in the morning, drive to Varanasi and check in at hotel on arrival. Later leave for the full day sightseeing tour of Varanasi visiting the Bharat Mata Temple, Durga Temple, Sankat Mochan Temple and Tulsi Manas Temple. Followed by Kashi Vishwanath Temple in the evening and later witness the evening Aarti Ceremony at banks of River Ganga. Overnight at hotel. Post breakfast in the morning, leave for the sightseeing tour of the city, exploring the Banaras Hindu University, Archaeological Museum, Bharat kala Bhavan and Ramnagar Fort. Later leave for excursion to Sarnath and return back for overnight at hotel. Post breakfast in the morning drive to Allahabad and check in at hotel on arrival. Later leave for the sightseeing tour of Allahabad visiting the Sangam, Allahabad Fort, Patalpuri Temple, Ashoka Pillar, Akshayavat. Hanuman Temple, Sankar Viman Mandapam, Mankameshwar Temple, Minto Park, Anand Bhawan, Swaraj Bhawan, Jawahar Planetarium, Bharadwaj Ashram, Beni Madhav Temple, Khusru Bagh, Alopi Devi Temple, Kalyani Devi Temple, Nagvasuki Temple, Nehru Park, Saraswati Ghat Park, Bharadwaj Ashram Park. Overnight at hotel. Post breakfast drive to Chitrakoot and check in at hotel on arrival and later leave for the sightseeing tour of the Kamadgiri, Sati Anusuya, Sphatik Shila, Janaki Kund, Hunuman Dhara, and Bharat Koop. Overnight stay at hotel. Post breakfast in the morning, drive to Khajuraho and check in at hotel upon arrival. Later leave for the sightseeing tour to Eastern, Western and Southern group of Temples. Overnight at hotel. After breakfast in the morning, proceed to Vidhisha and check in at hotel on arrival. Overnight at hotel. Post breakfast proceed to Omkareshwar and check in at hotel post arrival. Later in the evening visit the Jyotirlinga Darshan. Overnight at hotel. Post breakfast in the morning leave for Ujjain and hotel check in post arrival. Later leave for Mahakaleshwar Temple. Overnight at hotel. Post breakfast proceed to Chittorgarh and check in at hotel on arrival. Overnight stay at hotel. Early morning visit to Chittorgarh Fort and later drive to Pushkar. En route visit Dargah of Ajmer Sharif and continue the drive to Pushkar. Check in at hotel post arrival and later witness the evening Aarti at Brahma Temple. Overnight at hotel. Early morning tour to temples and lakes of Pushkar and later drive to Jaipur. Hotels check in at arrival and later leave to explore City Palace, Jantar Mantar, Hawa Mahal, Jal Mahal and Lakshmi Narayan Temple. Overnight at hotel. After breakfast in the morning leave to explore the Amber Fort, Jaigarh Fort, Nahargarh Fort and Gaitore. 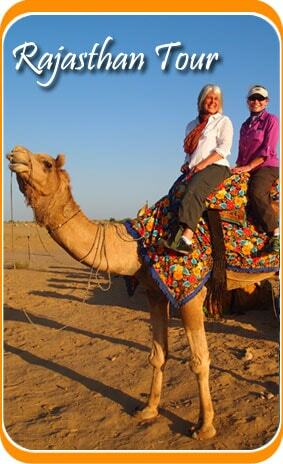 Later drive to Delhi and post arrival you will be transferred to the place as per your choice. Your 16 days Hindu Pilgrimage tour ends here..